Places of Pilgrimage beautifully interprets in word and image the personalities of well-known and less familiar places of pilgrimage in Britain. The book is a record of the travels of artist Ian Scott Massie, as he seeks out the spirit of place of over 75 locations around Britain. In words and paintings, he explores the personality of these sites explaining, for example, what he feels on the spot where Saint Cuthbert's coffin rooted itself to the earth, or the visions conjured up on crossing the sands to Holy Island. Some places, which have already been interpreted by people such as A. E. Houseman, Vaughn Williams and Stanley Spencer, are presented afresh. Some are very personal choices: the landscapes painted by Paul Nash (who grew up in the same area as the artist); the village where Laurie Lee wrote Cider with Rosie; the boathouse where Dylan Thomas composed Under Milk Wood, and the industrial landscape which inspired L. S. Lowry. 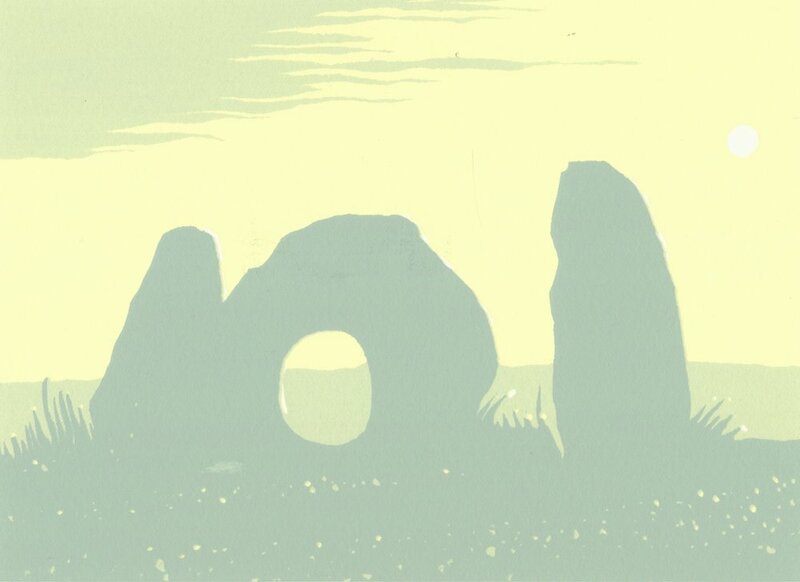 Some are traditional pilgrimage sites, like Lindisfarne, Durham and Canterbury; some are places which have other holds over the visitor - the stones of Avebury, the battlefield of Culloden, the tree where Robin Hood assembled his merry men.